Your bathroom is one of the most important rooms in your house - it’s the first room you go to in the morning and the last one before you head to bed. By remodeling the wet area of your bathroom, you can recoup upwards of 70% of the cost depending on the size and product you select. Having dependable quality products and expertise from DaBella, we’ll ensure that you’ll get the most out of the room while staying within your price range. It is important to select the right product for your bathroom; picking the wrong one can lead to bigger problems. 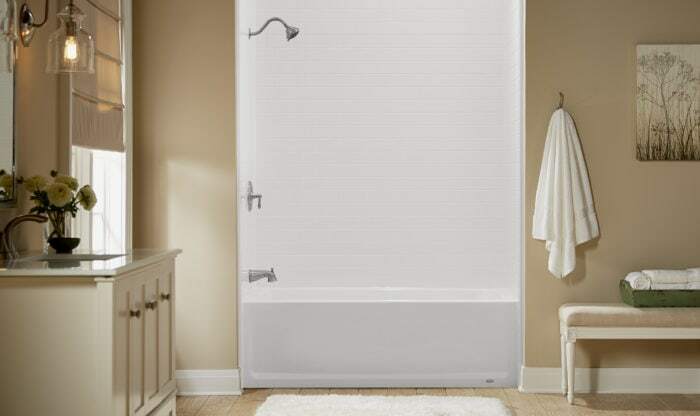 DaBella partners with BathWraps, one of the fastest growing acrylic manufacturers in the industry, to provide homeowners in Eugene with an extensive list of high-quality, American-made products with industry-leading warranties. Your bathroom is one of the most used rooms in your home but yet it’s also the most underappreciated. By having American-made products from DaBella, our factory-trained installers will put a non-porous acrylic product in your bathroom to help fight against mold and mildew. Work from Dabella’s was excellent. The representative Robert was extremely helpful and informative about all the products. He did his best to work with our situation and give us the best deals. All of the product we were shown are of very good quality. Previous work from Dabella’s was excellent. Will recommend to others.